"This was a great read, and a story well written. It had just the right level of everything. Not too many gory details but enough to provide an understanding of the gravity of the situation, and I loved the fact that it was written largely from a female perspective. Considering what a massive part women played in WW1 it has a habit of being forgotten. I cried at points but didn't melt entirely in the way that I have done in the past with my WW1 reading! The section based in Etaples was also fascinating because, again, it is very easy to focus on what happened on the front line and forget that effects of the war were very far reaching and impacted all parts of life, both near and far. " 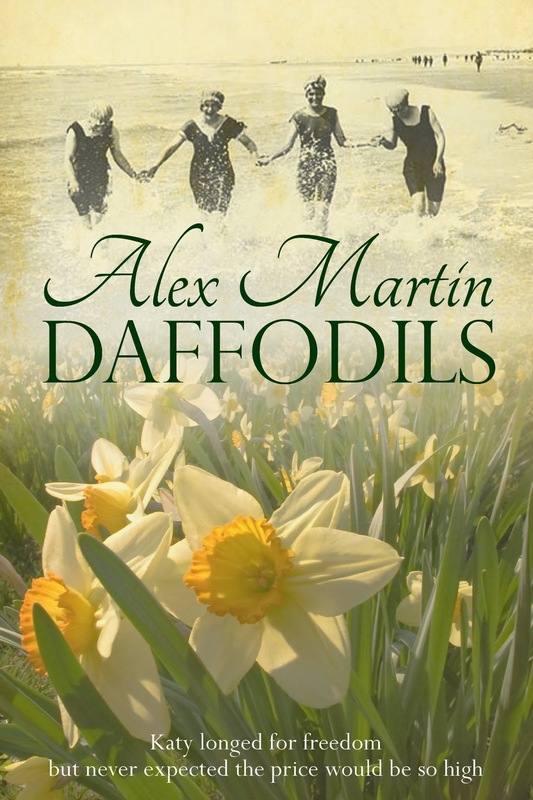 Great to have a new 5* review for Daffodils - and I had another 5* rating on Goodreads yesterday so feel I'm on a roll. I suspect that the reader who wrote the above had a deep interest in this era of our history. Sounds like she has read up on the subject pretty widely so I'm relieved, if so, that my research passed muster. She completely understood one of the main themes of the book - the feminist perspective - so often overlooked because of the dreadful treatment of serving men at the Front but the women also sacrificed so much and were both liberated and shocked by their experiences. I was also pleased that this reader felt I had portrayed the right level of violence the men on the front encountered. That was a hard thing to pull off. I did read about the atrocities in graphic detail myself but had to decide how much to include into a tender love story. I am so pleased that the gravity of the situation came across but didn't alienate.